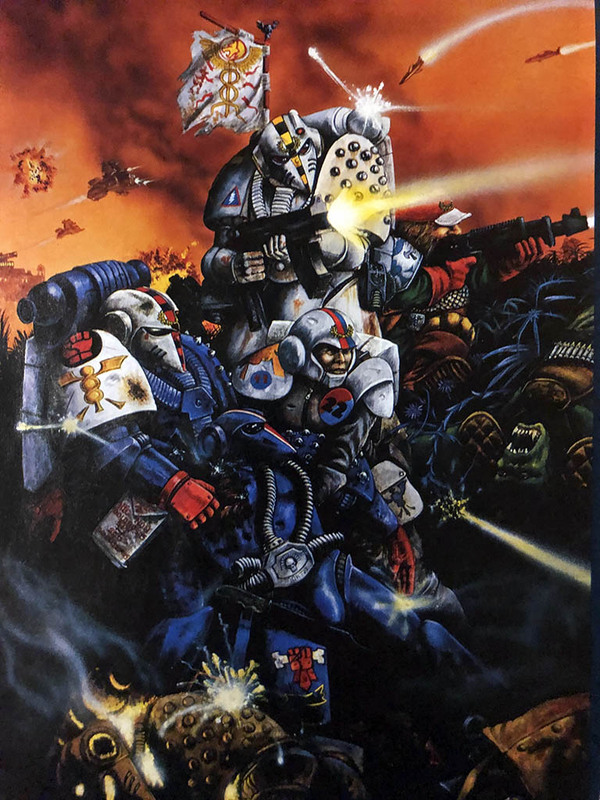 It was 1989, and White Dwarf was pumping something new every month for the brand new sci-fi game from Games Workshop. 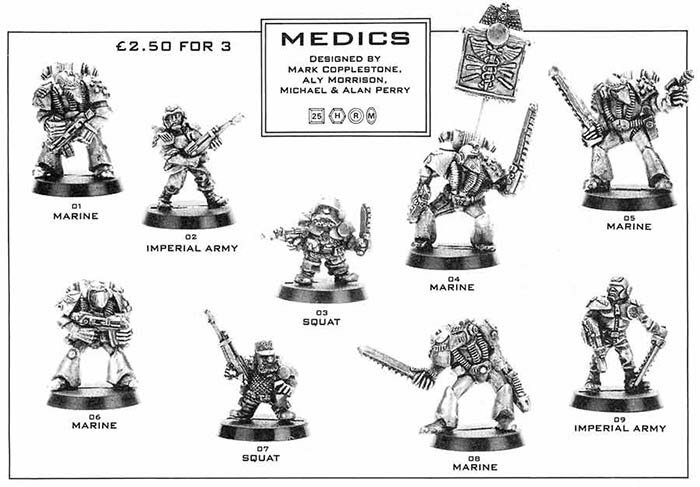 The Warhammer 40,000 Compendium gathered a lot of it together and gave us the original rules for Medics – the original forefathers to today’s Apothecaries. 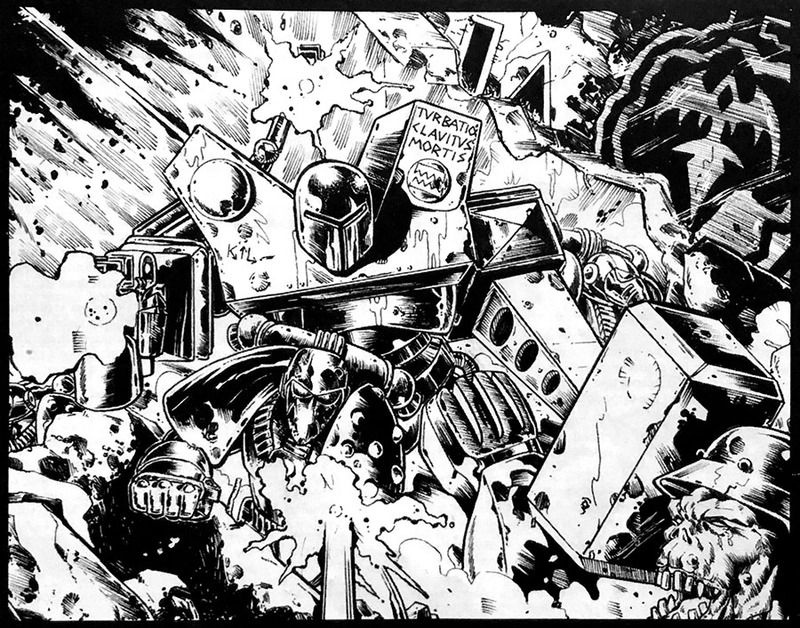 Duty under fire, both Astartes and Imperial Army. Nice trucker hat on that Squat in the back! Read it my friends – that sets the mood of the entire article. There are half a dozen more stories like this one and lots of artwork of grim-minded medics going about their battlefield duties. 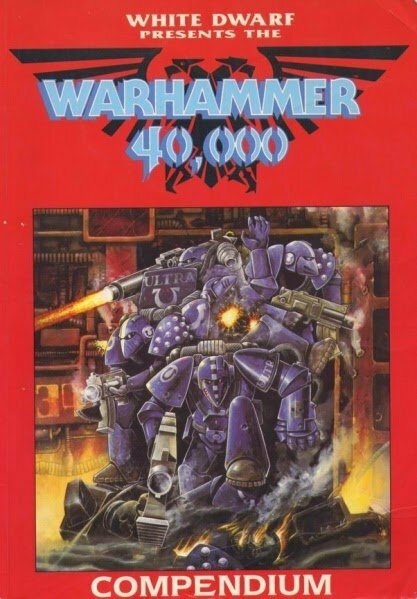 In these early 40K times, there was a free intermixing of Astartes, Army, and Squat power working side by side – which would fade in later years. 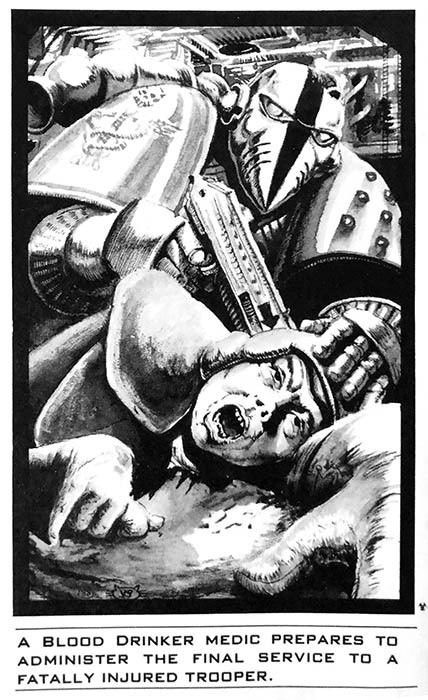 Rogue Trader was wild wooly game, and the detail was over the top. 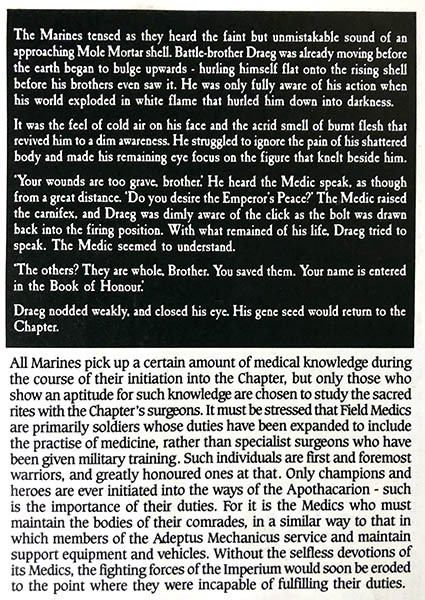 The Medic rules were right at home. First, you rolled a D100!, Then provided the casualty was alive, it could rejoin the battle with the listed injuries after so many turns down and out. 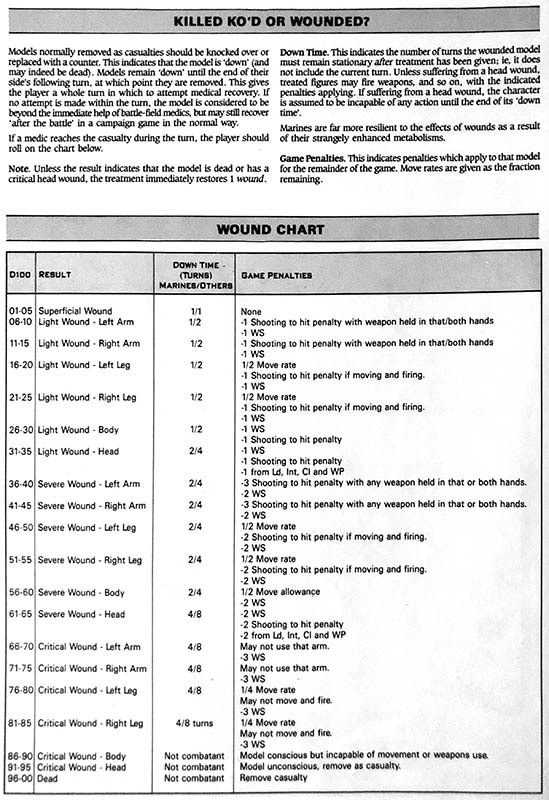 Note the faster injury recovery time for Marines. And at last, the minis! Note the chainswords all over the place. Then note the £2.50 price for 3! These relics show up now and then on eBay. Say it with me – SQUATS! 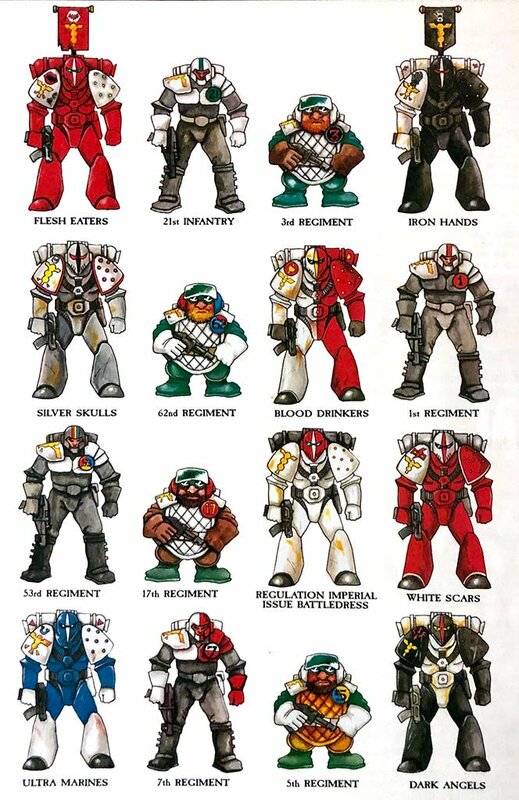 A later White Dwarf listed that Astartes Medics would paint a single blood drop on their armor for each successful field transfusion they gave during a single battle. My RTB-01 Blood Angel Medic’s record is 4 (still proudly painted on his pauldron to this day). 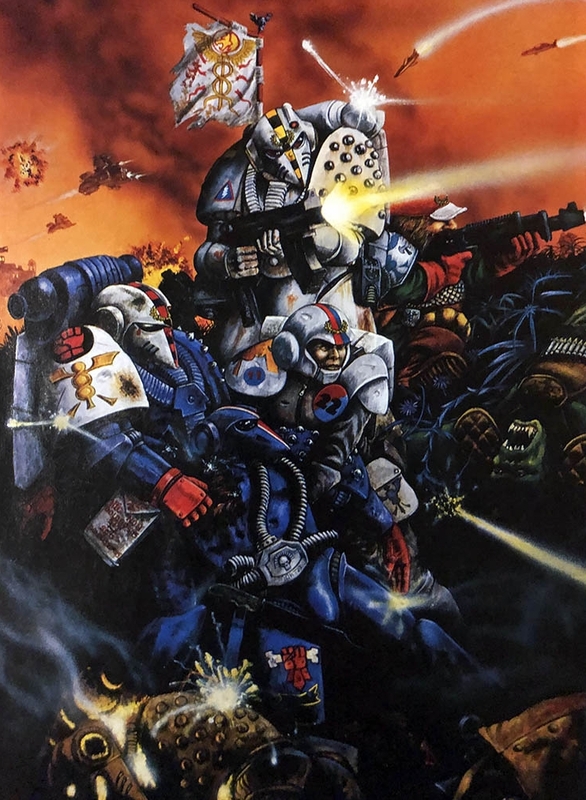 ~ If you’re looking for a subtle bit of retro charm for your army, one of these paint schemes would be perfect – even on a modern Primaris Apothecary. Why not award your mini a blood drop honor for each successful model healed during a single battle.